While a classic party cake with sprinkles and balloons can be festive and delicious, there are many different cake designs that can be even more exciting for different occasions. By choosing a unique cake design, you can create a memorable and outstanding dessert that will make any special day even more celebratory. From different decorations to different shapes to different flavors, there are many ways you can be unique when designing cakes. Etched icing is simple to design. Frost the cake smoothly, and then lightly cover it with colored sugar or airbrushed dye. Using a fine tool, etch or press designs into the icing to disrupt the color in different patterns. This takes a gentle touch so the etching shows up without looking sloppy, but the effect can be simply stunning. While there are many unique cupcake designs you can create, the cake itself can be memorable and different if you opt for miniature, personalized cakes rather than paper-wrapped cupcakes. A small fondant cake is particularly unusual and can be delicious for a miniature dessert. Because the cake is so small, however, keep the design simple for the best effect. There are many different cake designs to choose from for tiered cakes, but pillow tiers are still very unique. These tiers are gently curved to look like puffy cushions, rather than having straight edges and predictable “staircase” effects. Decorate the tiers lavishly to enhance the uniqueness of the design and give the cake a luxurious and stately appearance. For a decadent chocolate cake that looks a bit different, surround a simple iced cake with marbled chocolate fans. The contrasting white and dark chocolate in the fans adds instant visual appeal to the cake, while the fan shape creates unique texture on a simple cake. To finish the design, press a pair of fans into the top of the cake and add a few berries or chocolate curls to their base. Icing ridges add an edgy look to an easy cake design. Bake and frost the cake, but use a ridged comb (you can make one by cutting a toothed pattern in poster board) to add even ridges to the cake before it is decorated. Airbrushed color is popular to add to this type of design so the ridges will stand out even more. A different cake design for individual cakes is a hollow dessert that can be filled with any number of treats. A small, hollow cake can be easily baked with specialized molds, and when served the cake can be filled with fruit, chocolate, pudding, or other treats for unique flavor and texture contrasts. For the best effect and easiest design, opt for a strongly flavored cake but forgo any icing. Make a cake surprising by creating a different inside appearance, texture, or flavor. A simple cake can be unique when it is sliced if the filling includes whole berries, unexpected liqueur flavors, sprinkles, rainbow swirls, checkerboard patterns, or unusual stripes. There are many tricks that can be used to make a cake different and delicious on the inside. Tiered cakes aren’t just for weddings. Be different on different occasions by designing elaborate tiered cakes that celebrate birthdays, graduations, baby showers, holidays, and other significant events. Use the opportunity to experiment with different cake decorating techniques, such as creating fondant letters or beads, or try unique colors, crazy designs, or other unusual options. Cupcakes are easy to be different when designing because each cupcake can have a unique decorative touch. Think outside the box when designing cupcakes; however, instead of the typical rose accent, for example, opt for a different icing flower such as a pansy, tulip, or daisy. Different colors and flavors are also easy to try with cupcakes. Wedding cakes are becoming more and more elaborate, and you can dare to be different by creating a simple yet elegant wedding cake design. A plain white cake can be chic and modern, especially when paired with a fresh flower topper or a unique flavor instead of classic and predictable wedding cake choices. 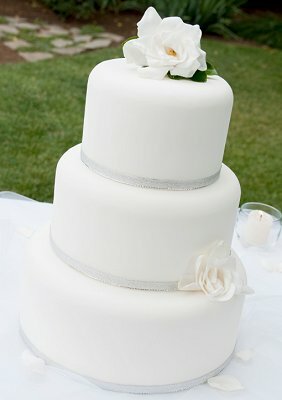 As an additional bonus, simple cake designs are often less expensive for brides and grooms on a tight budget. Be different for your taste buds by designing a cake with unique and unexpected flavors. A sour cream and spinach may not sound initially appetizing, but it can be surprisingly mellow and smooth. Liqueurs, unique fruit fillings, herb or spice cakes, and traditional folk recipes can all be different options for creating a cake with a unique taste and texture. Figural cakes can be quite different and are a fun choice for birthday parties, holidays, or casual special occasions. When decorating a figural cake, use unique icing textures to complete the design – such as fine strands of icing to simulate fur – and consider all the details of the cake shape, such as smooth icing inside ears and on feet. How you ice a cake contributes to its uniqueness, but the techniques don’t have to be elaborate. A whipped cream frosted cake, for example, can have smooth spikes along its surface that you can tip with unique colors for subtle decorations. You can also frost a cake with meringue for different icing, or create different textures and colors on the icing to give even a simple, basic cake an unpredictable appearance. While many cake designs use edible flowers, make your cake different by opting for sugared flowers that can’t be eaten. Use special floral holders to add the flowers to the cake without danger of contamination, and the flowers can easily be removed when the cake is sliced and served. If choosing sugared flowers, however, the rest of the cake design should be relatively simple so the overall effect is not overwhelming. Even a simple shape can become a unique cake when decorated appropriately. It is fairly easy to create a barrel-shaped cake, for example, and a combination of buttercream and fondant icing can be used to create a keg appearance perfect for a twenty-first birthday or college frat party. With only slight modifications, the same shape can become a football for a Super Bowl party or an island for a tropical beach party. Decorating the edge of a cake can be challenging, and many designs simply use smooth icing or coatings of sprinkles, nuts, or chocolate curls for a quick and easy covering. Make your cake different by choosing a more elaborate edging, such as molded chocolate lace. Double layer the lace by creating swirls of both dark and white chocolate to wrap around small cakes for an elegant and sophisticated design. When creating different cake designs, the most important thing to remember is to have fun. Use your imagination when choosing cake shapes, flavors, colors, and textures, and you’ll create a unique and memorable dessert that can make any occasion special.